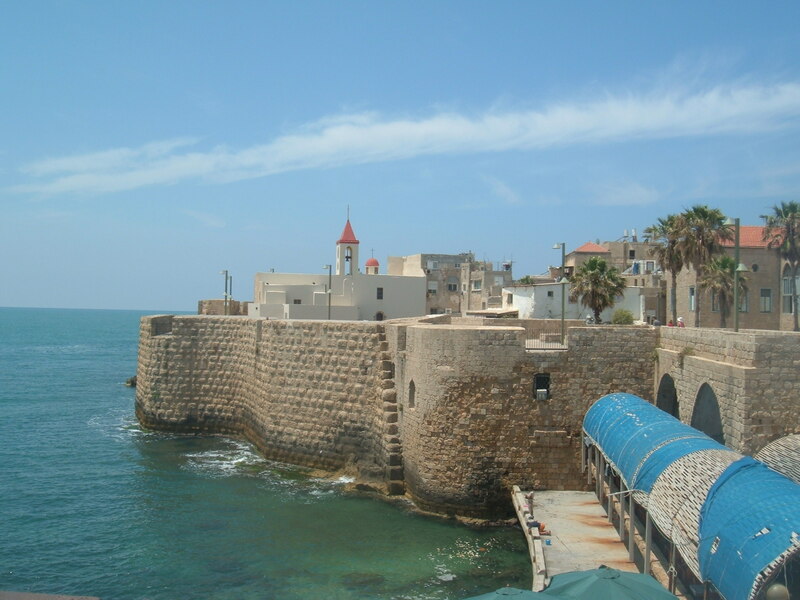 The large walled city of Acre provided Napoleon with a serious challenge to his troops. He brought neither the type of siege engines nor the amount of troops he would have preferred to have in this battle. He was really confident that his forces would take the city in 2 weeks maximum, but he underestimated the reaction to what he had done at Jaffa. The people believed they had no choice but to fight to the death, which united the entire city in defense against him. Muslims and Jews worked side by side within the city while the British helped by bringing supplies and reinforcements to the city by sea. Acre was the strategically located in a way where it became the key to taking over the area, and because of this it would become the turning point to his invasion one way or another. Napoleon referenced Alexander the Great over and over again in this attack since he was the first to take the walled city. He would see himself as a modern version of Alexander, with the people of the Middle East being the Persian army he had to fight. Some historians claim that he was ready to give all of these cities to the Jewish people in the area if he conquered them, but this is suspect since he showed no real interest in the Jews during his invasion. break through once he did. Once inside Napoleon saw that a French émigré named Phélippeaux had placed their cannons in perfect positions inside the city to defend their position with. French forces were starving and cold as an outbreak of the plague hit among his forces, killing over 2,000 people. The French quickly realized that between the cannons inside the city and the British navy firing at them from the sea, they were unlikely to take the city. When it became clear that the French had no way to win this battle Napoleon would choose to leave Syria all together. The men who were sick and wounded complicated the issue by slowing the movement of his army. It was clear that the Ottomans would keep harassing him as they retreated from Syria, so he feared the amount of damage they could inflict if the French were at a slow pace. For this reason have said that he ordered the sick among his men to be killed so that they wouldn’t slow him down. Those historians who claim this is true state that he did it because he decided their fates would be worse if they were captured by the Ottomans. Most historians believe this never happened though, largely because the British who were at the battle never said it happened, and they would have had reason to make Napoleon look like a horrible person. This win made the Ottomans believe they could beat the French and they started to attack Napoleon’s forces with increasing ferocity. The arab people who still live in the area of Acre still view this victory with a clear sense of pride. Being able to turn away a military that was among the best in the world and a General who is given even more credit than that, make them thrilled to be from the same city.